As Kathleen McCartney, dean of the Harvard Graduate School of Education, prepares to become the 11th president of Smith College, there are a few things you should know about her. She’s passionate about education and knows firsthand how it changes lives. She wears her feminism graciously, but proudly, on her sleeve. She thinks the best leaders start by listening. She loves young people, yoga and long walks, independent films and orchids. And when she and her husband, Bill Hagen, move into the President’s House in July it will be the first time this former financial-aid student will have lived on a college campus. She can’t wait. McCartney, like many women of her generation, had to fight the tide as she made her way to leadership. The world she entered when she graduated from Tufts University in 1977 was built for men’s ambitions; if women wanted a shot, they had to find their own way in. Fortunately for McCartney, a couple of women mentors arrived in her life just when she needed them to show her the way. She has also learned that education is a great equalizer and that with perseverance, a working-class girl from Medford, Massachusetts, can leverage her education into a career that in July will put her at the helm of the world’s foremost liberal arts college for women. The biggest and most far-reaching project of her career to date also came by defining and responding to a need. Shortly after becoming permanent dean of the ed school in 2006, she saw that future education leaders needed to be equipped to transform the education sector. This led her—and her team—to consider a new style of education doctorate, one that would focus on the skills that make the kind of leader who can bring about meaningful change and reform. The result is an innovative, three-year doctorate in educational leadership, an Ed.L.D., the first new degree at Harvard in 74 years. To make sure these education professionals are grounded in policy and management, the degree is designed in collaboration with the Harvard Business School and Kennedy School of Government. Forty years later, that remark still brings fire to her eyes. “Every woman of my age has these stories,” she said. She had, in fact, already decided to become a teacher, one of the few career paths she thought was available to her. She settled on Tufts University, a good school that was also within walking distance so she could save money by living at home. Tufts didn’t have an education major, so she majored in psychology, with a focus on child development. That was where she met her first female mentor. “When I took Brenda Steinberg’s child development class, reading the textbook didn’t feel like work. I got very excited by the material,” she said. In McCartney, Steinberg, now a psychotherapist, saw a gifted researcher with great potential. “Now and then, an exceptionally bright student appears who has an inquiring mind, loves learning and delights in energetically taking on research projects. Kathleen McCartney was such a student,” Steinberg recalls. At Yale, she met her second mentor, Sandra Scarr, described by McCartney as a brilliant psychologist, with whom she would go on to collaborate on numerous scholarly articles over the years. Unlike many women in academia at the time, Scarr also had children. “She helped me believe I could have a wonderful career and be a mom,” McCartney said. Within five years, she had her doctorate in psychology, she’d married her high-school sweetheart and had the first of two daughters. She had also begun teaching—-not as a second-grade teacher, as she once envisioned, but as an assistant professor of psychology at Harvard. McCartney regarded her post at Harvard as a first job, “the best postdoc imaginable.” In 1987 she joined the psychology faculty at the University of New Hampshire; by 1997 she had risen to full professor. She put down roots in Durham, where she would live for 13 years, raising her daughters, Kaitlin and Kimberly. Along the way, her first marriage ended, and in 1995, her piano teacher set her up on a date with a longtime English teacher at Phillips Exeter Academy and father of two teenage boys. Bill Hagen and Kathy met for coffee on a Tuesday morning. Two years later they were married, blending their families and building an addition to Kathy’s house. “We thought we’d be there forever,” she said. In 2000, however, Harvard called again, this time inviting her to join the faculty at its graduate school of education. The couple sold the house, moved to scenic Newburyport, on Massachusetts’ North Shore, and commuted to their jobs. 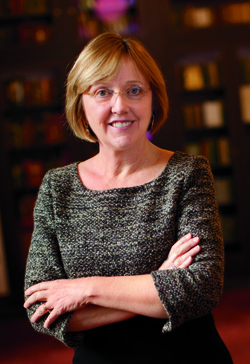 When McCartney was tapped to become academic dean and then eventually dean of the graduate school of education, they decided to move to Cambridge. Hagen reduced his teaching load so that he could support McCartney in her work at Harvard. “We’re a very good team,” she said. 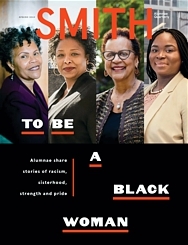 Elise Gibson is editor of the Smith Alumnae Quarterly. This story appears in the Spring ’13 issue.